I finally got a new phone which I'll tell you more about in a subsequent post but I really wanted to try posting from my phone to see how easy it would be in hopes of posting more often! At the same time. I was motivated to work on a mobile-friendly version of my online identity so try the QR code and tell me in the comments what you think of it. It also serves as the start page of my mobile browser. I used Delivr to create the QR code which also provides analytics. 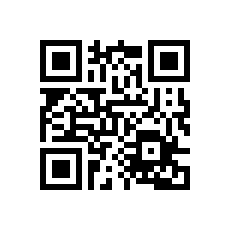 I used Winksite to create it and have been using it for some time but my QR code may also make it more accessible to others until they build their own. It's very easy!